The Quakers defeated Colts Neck High School, 97.5–72.5, in the NJSIAA Public Group B State Championship on Sunday. Moorestown celebrates after receiving the trophy for winning the NJSIAA Public Group B state championship. 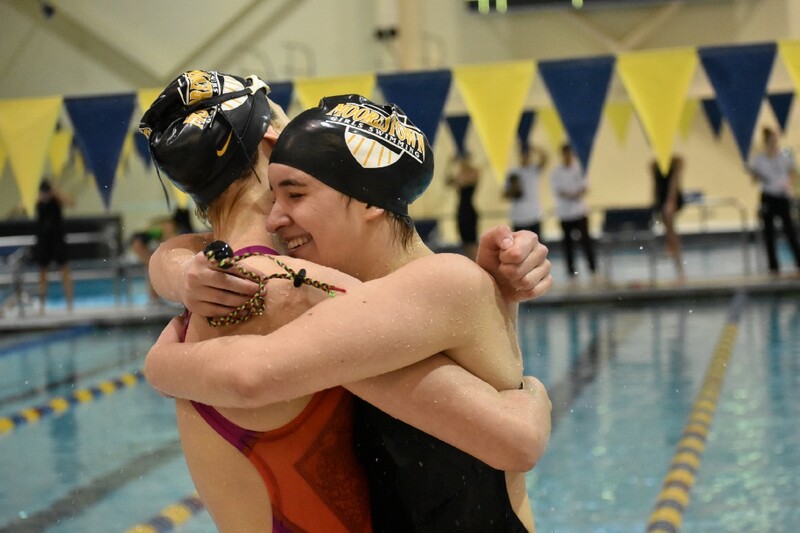 When Moorestown High School sophomore swimmer Emma Lenny emerged from the pool following the 100-yard freestyle at Sunday’s NJSIAA Public Group B State Championship, she was beyond ecstatic. She gave a hug to teammate Catie Shawaryn, hugged head coach John Battersby and then let out a huge scream as the Quaker fans cheered from the stands overlooking the pool at The College of New Jersey. Emma Lenny (right) hugs Catie Shawaryn after Lenny’s third place finish in the 100-yard freestyle. Lenny didn’t win the event, the winner was actually from the opposition, Colts Neck High School’s Megan Judge. However, Lenny finished with a time of 55.36 seconds, a time she said was a full two seconds better than normal for her. 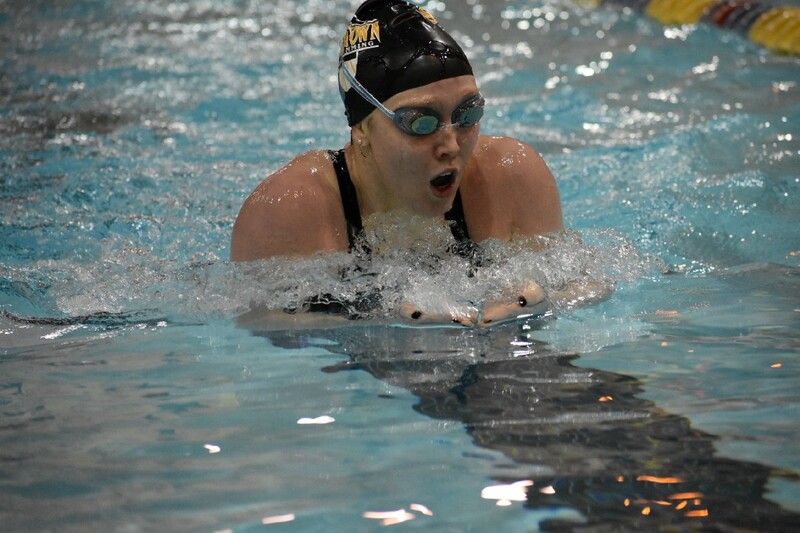 Best of all, Lenny finished in third place behind her teammate Shawaryn in second place and in dual meet swimming, a second and third place finish scores more points combined than one first place finish. 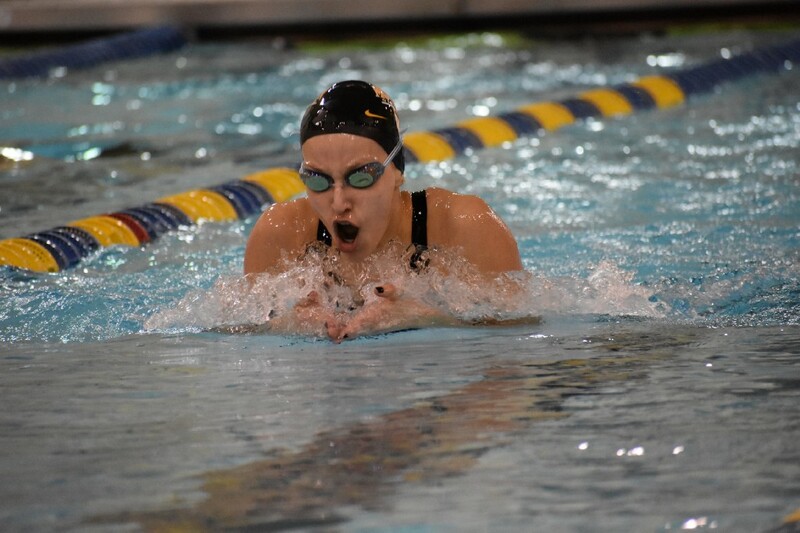 Lenny’s reaction after her third place finish in the 100-yard freestyle epitomized the 2018–19 Moorestown girls swimming team. 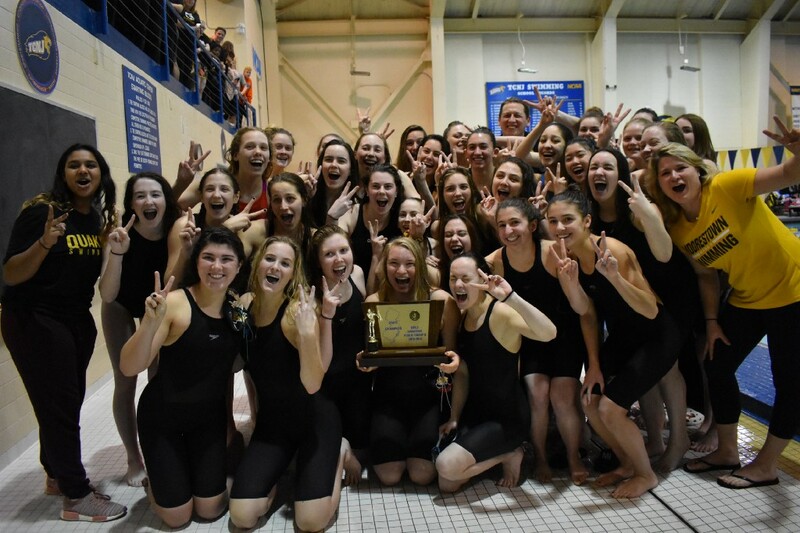 The Quakers won the NJSIAA Public Group B state championship, 97.5–72.5 over Colts Neck, with a tight-knit, deep team where finishing in second or third place means just as much as finishing in first. 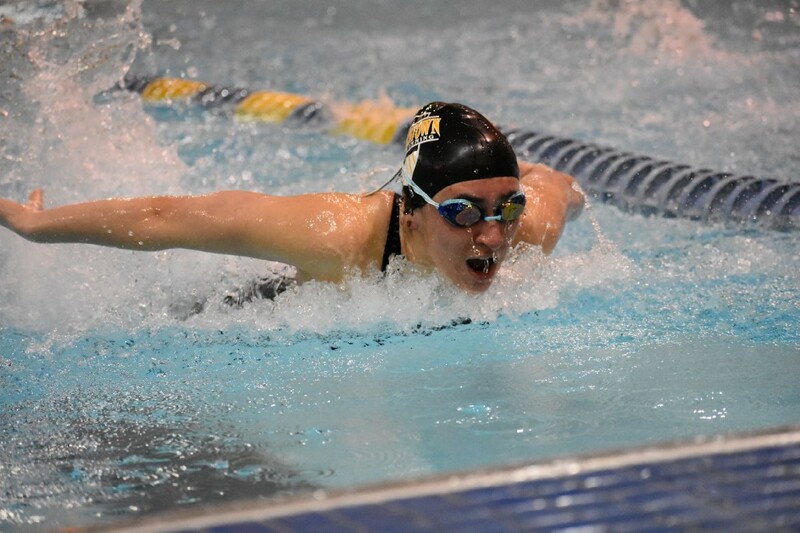 Left: Emily Wisniewski pushes ahead in the breaststroke leg of the 200-yard individual medley. Center: Holly Robinson pushes toward the wall in the breaststroke leg of the 200-yard individual medley. Right: Katerina Poulathas dives forward in the 100-yard butterfly. Lenny said the team’s newest swimmers, the freshman class, gave the Quakers a boost this year and helped improve upon an already deep team. Moorestown didn’t get through the season unscathed. The team lost a couple regular season meets and was looking for a spark just before the playoffs. The Quakers got it when they took first place in the A Division at the South Jersey Coaches’ Invitational in late January. 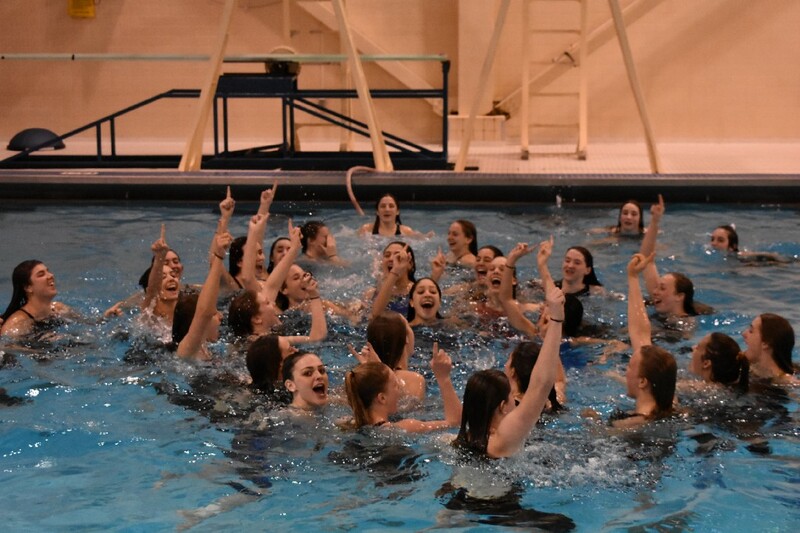 Moorestown celebrates with a dip in the pool after winning the NJSIAA Public Group B state championship. 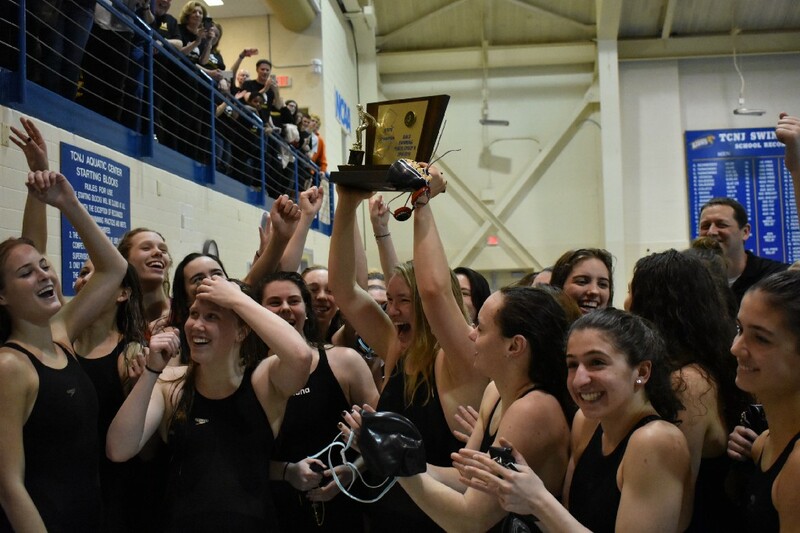 Moorestown rode that wave of momentum to a second straight South Jersey Public Group B championship and into the state title meet, where the Quakers won with a ton of second and third place finishes to complement their five first place finishers. The way Moorestown won its second straight championship was fitting. The Quakers’ success over the past two seasons hasn’t been because of one or two top swimmers. It has been a team effort. “The dedication and the love we have for each other…I’ve never been a part of something as great as this team,” Lenny added.